The rise of digital printing has transformed the ability of graphic designers to produce and publish their work. Inkjet printing is a technique that propels tiny droplets of ink onto the paper. Laser printing— the updated method of photocopying—uses a laser beam to train back and forth across an electron-charged drum to define the image. The drum then transfers the image to the paper, and it is sealed with heat. Neither process requires the creation of printing plates or screens, allowing designers to quickly transform their designs in prints. Both processes offer designers the opportunity to execute their work using a myriad of CMYK color builds. And digital prints have also empowered designers to print posters in any quantity desired, not bound by minimum and maximum runs common to other printing methods. For her poster Solo Exhibition, New Type from 2014, Shiro Shita Saori was able to send her digital files to a printer and order the number of posters that she wanted to advertise her monographic exhibition. 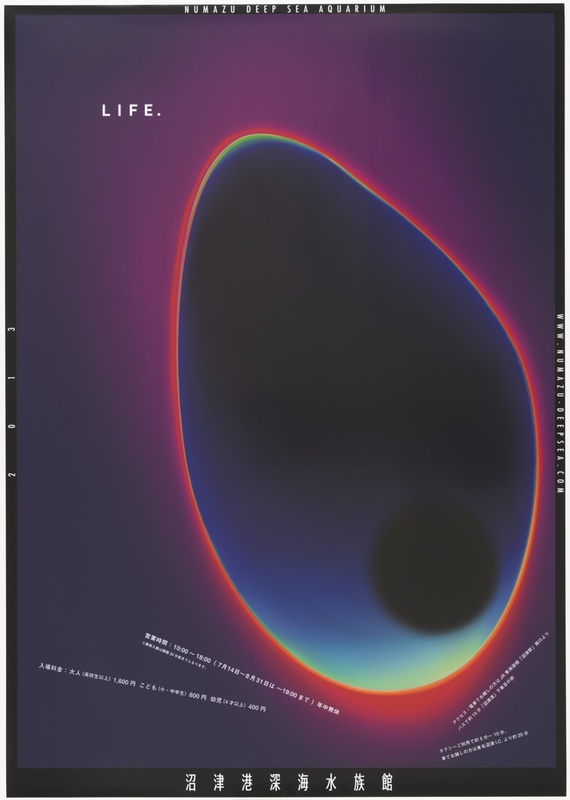 When Cooper Hewitt decided to acquire the poster, she was able to order yet another print. Poster, Game of Thrones, Iconic TV, 2011. Designed by Albert Exergian. Digital print. 118.9 × 84.1 cm (46 13/16 × 33 1/8 in.). Courtesy of the designer. The flexibility and spontaneity enabled by digital printing joined with online distribution have spurred the popularity of print-on-demand posters. Albert Exergian has become widely known for his series of minimalist posters that celebrate popular television shows such as Game of Thrones. Exergian, working completely independently of the shows he features—in some cases shows that have not aired for decades—has tapped into the appetite of television fans as well as admirers of the Swiss modernist style, which his aesthetic humorously celebrates. Consumers can purchase the posters online in a variety of sizes. Because Exergian can print posters as they are ordered, he is able to create a growing series of designs without a significant financial risk.